It’s fun to have a birthday on a Saturday, which makes it a birthday weekend! Thank you to all my family, friends, and readers who made it memorable. 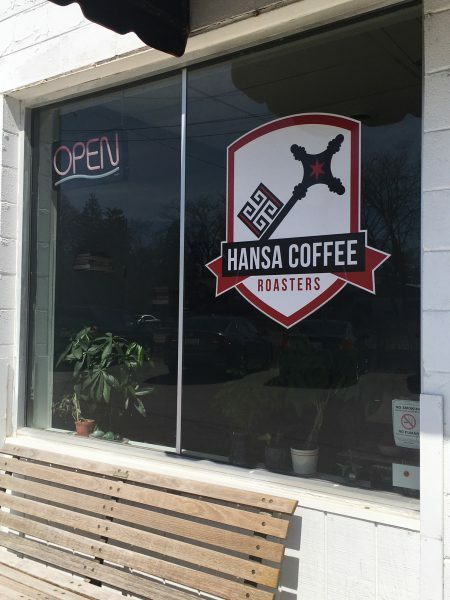 It started out on Friday having coffee with my friend Carol at one of our local coffee houses, Hansa, which used to be an old garage converted into a now popular place in town, right across from the train station. Carol and I chatted for two hours. It was pure joy! Carol also brought a lovely gift, this great Williams-Sonoma cookbook. It will be a subject of a blog soon with a recipe. There are so many good ones, I haven’t decided which to make first. Thank you, Carol, for the coffee, cookbook, and most especially your company and cherished friendship. When I got back home there were two boxes waiting on the front porch, one from my girls, Kristina and Kara, and the other from my friend Roxanne who used to live across the street from me, but now lives in Iowa. On the kitchen table were two big boxes all wrapped up in Williams-Sonoma paper from my husband, Bill. It was tempting to open them all, but I decided to wait for my actual birthday on Saturday to open them. When I woke up on Saturday morning, Bill wanted me to open his first because it was going to be used right away, he said. The boxes contained something I have desired for a long time – copper pans! You would think I already would have some, but they are so darn expensive I always put it off. Bill decided it was time. There was not only one pan, but two! I was flabbergasted and beyond excited. And they are Mauviel. With brass handles! 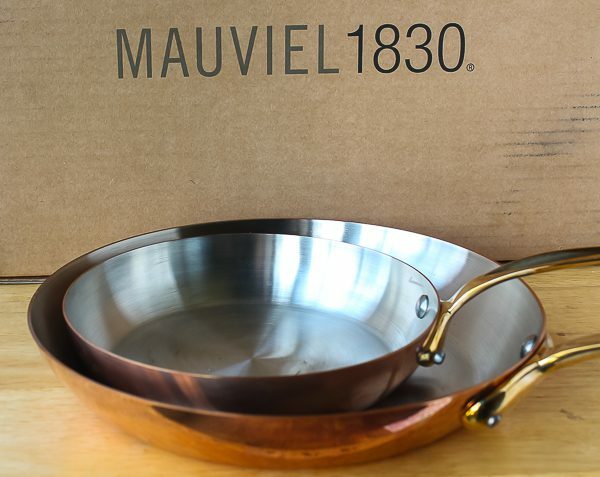 Mauviel has been manufacturing pans since 1830! Aren’t they gorgeous? 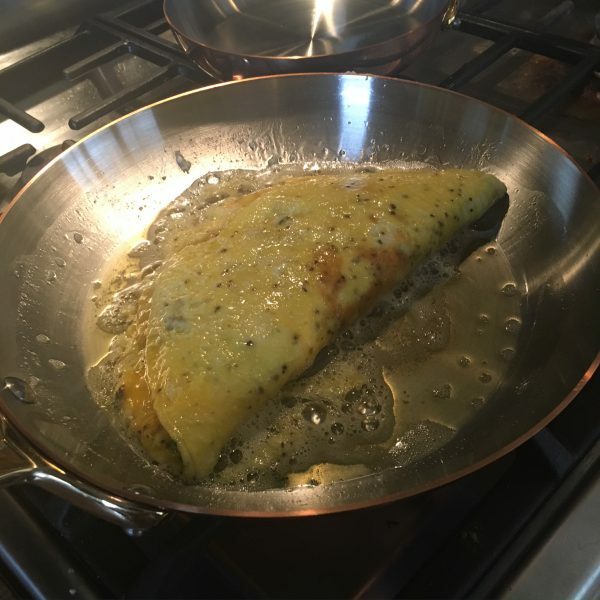 Bill wanted to prepare an omelet for a birthday breakfast and decided on a fresh herb and Swiss cheese with a little diced roasted leftover herb potatoes from our dinner the night before. Look how that pan cooks! The omelet was so wonderful. Bill is not a cook, but can make great eggs, and likes to grill too. He was so proud to initiate the pans and did a splendid and delicious job! After breakfast, it was onto the other gifts. My sweet friend Roxanne who is an avid cook like me always knows what I love in the kitchen, and she sent me a favorite product that I had run out of a few weeks ago. Have you ever heard of Bovril? 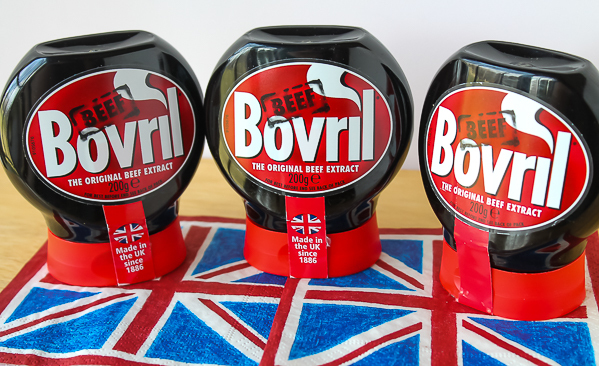 Bovril is a product from the United Kingdom, made since 1886. It’s beef extract with a most amazing flavor used in soups, stews, and so many other dishes. You don’t need much at all to add flavor and color. It can also simply be added to hot water and you have a wonderful beef broth to sip. I am so happy to have some in my pantry again. Thank you, Roxanne! Next was the gifts from my girls. 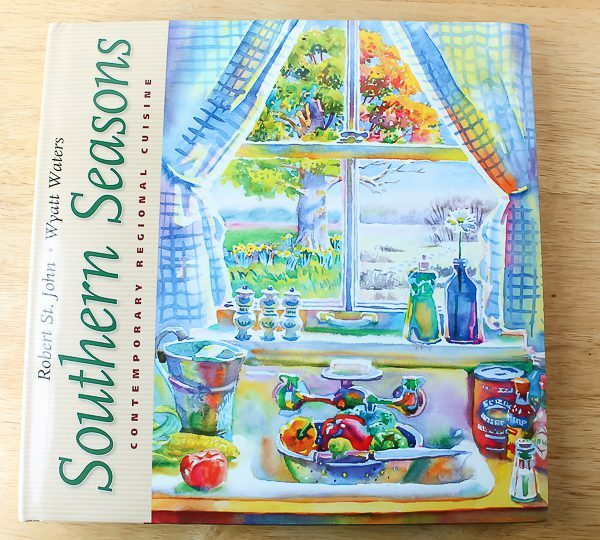 Kara sent along an incredible cookbook authored by Mississippi’s greatest watercolor artist, Wyatt Waters, and a marvelous chef named Robert St John. For Christmas, Kara had given me one of their other cookbooks called Mississippi Palate which I adore and wrote about earlier, so I knew this one would be wonderful. If you love to cook, and also appreciate art, I highly recommend their cookbooks. Such amazing recipes! Thank you, my Mississippi girl! Kristina’s gift was not kitchen or cooking-related, but I was beyond excited for these. Now, you must be a girly girl to get it. These are the world’s best and most expensive eyelash curlers, shu uemura, even mentioned in the movie The Devil Wears Prada. For a long time, one had to go to Europe to buy them, but Kristina found they can now be ordered online. Now I can finally stop using my old one that has been well-loved for years but worn out. Thank you, sweetheart! 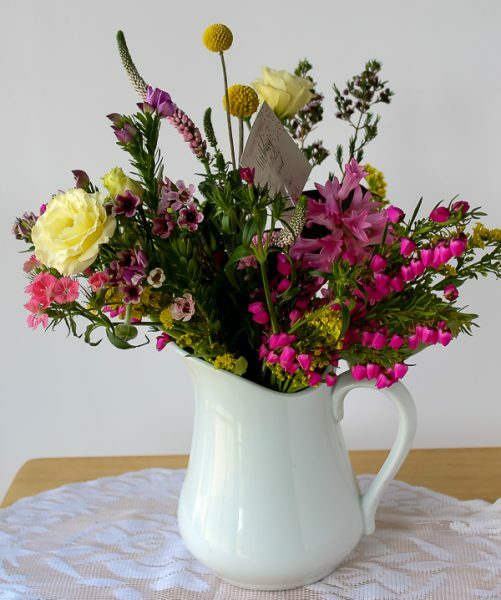 A few hours later the doorbell rang and there stood a delivery person with a huge bouquet of bright and colorful Spring flowers resting in a beautiful white pitcher. They were from my dear friend Lisa. They smell so heavenly and I look forward to using the pitcher in a blog. Maybe some mint iced tea once mint pops up in my yard. Thank you, Lisa. My heart is happy every time I look at the flowers. So now it is Monday, birthday weekend is over, but I have enjoyed a delicious breakfast made in gorgeous pans by a gorgeous husband, still looking through the two cookbooks, ready to use some Bovril this week, smelling the flowers, reading happy birthday wishes on my Facebook site and emails, all while having curled eyelashes. What more could I want? Thank you everyone for everything. Every day is birthday love with all of you. P.S. Not even a half hour after I finished writing this, another package came in the mail from my longtime friend Kim in Seattle. Thank you, Kim! 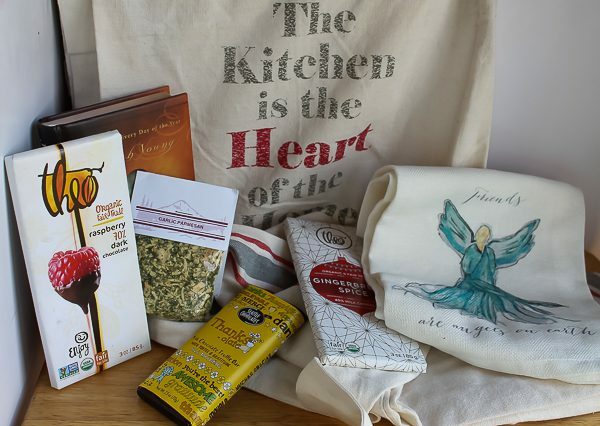 You are so sweet and know the things I love – a new apron, spices, an inspirational book, and of course – chocolates! I’m so glad you had a wonderful birthday. But what about cake? You always have such special cakes. 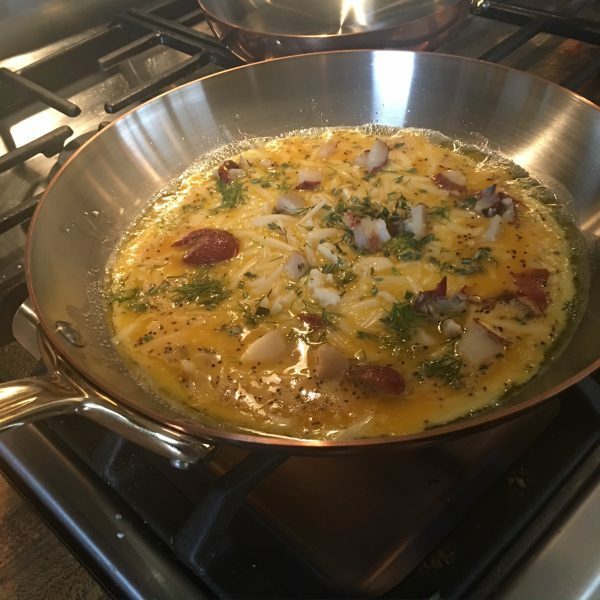 You will love the Mauviel cookware. It’s worth every penny. I just treated myself to one of their copper bowls for beating egg whites. Yes, I know I could use the mixer, but WWJD (what would Julia do)! She’d whip those egg whites with a whisk in a copper bowl. I will tell you a little copper cookware secret. Make an occasional surveillance trip to Marshall’s/TJ Maxx. They sometimes have a few pieces. 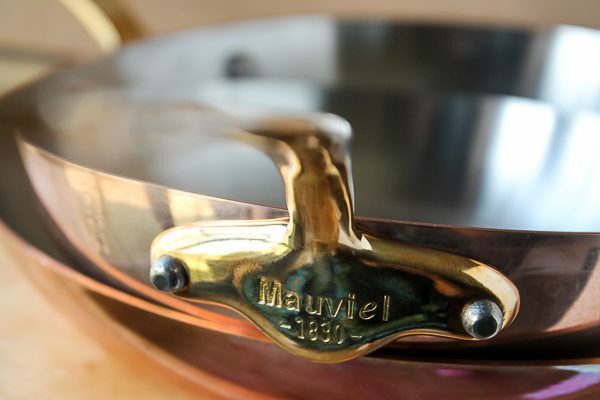 Occasionally Mauviel, more often Bamalu, another old French company that makes beautiful copper pots and pans. That’s where most of mine has come from. You can sometimes find Emile Henry bakeware there, too. That’s where I’ve found most of mine. Your books look great, too. I’ll be looking forward to reading the blogs featuring them. I sometimes think we were sisters in another life. 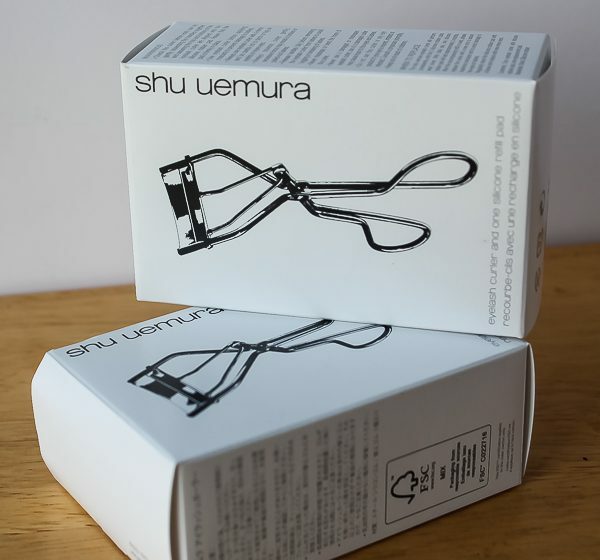 I love my Shu Uemera eyelash curler! 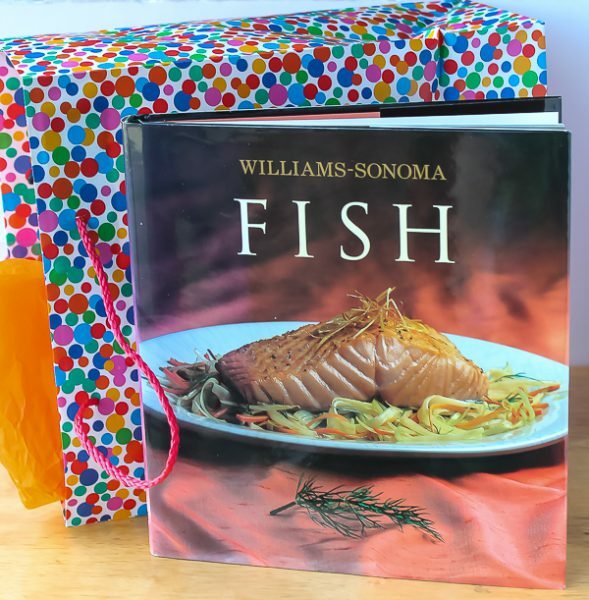 And I have the Williams Sonoma fish book! Now I need to search for Bovril. P.S. My search for Bovril lead me to this. A Bovril cookbook!?? Had no idea this existed! Thank you for telling me about it. Thank you for sharing “Birthday Love”! What a memorable day for you! It’s my greatest PLEASURE, Debbie! Sounds like you had a delightful birthday celebration. 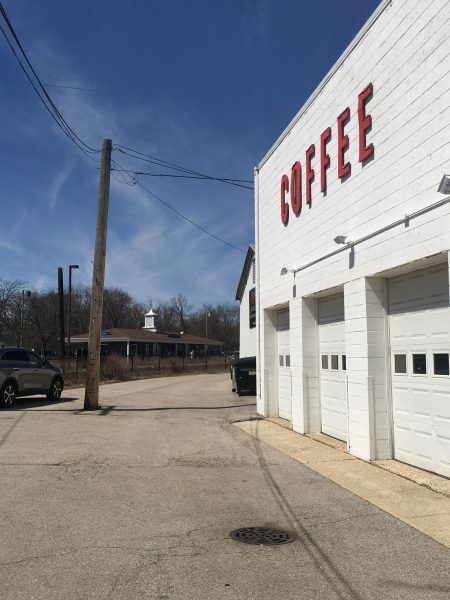 So glad my package made it to you within the ‘extended weekend celebration time!” Your local coffee house looks like such a charming place to meet, making that time with your friend all the more special. I love places like that. The cooper pans Bill got you are gorgeous and his omelet looked delicious. I will look forward to reading your future blogs relating to all those wonderful gifts you received. (I am definitely going to be looking for some of that Beef Bovril!) So glad you had such a special birthday. Love to you my dear friend. Thank you, Kim. I always love your comments!